Every pond environment is different. Different water flow requirements, different plumbing layouts, different head pressures. Aquadyne Plug & Play components are designed to perform to the requirements of your ponds environment. Provided that your suction and return lines for your pond are in place. Our commercial installations already include applications such as zoos, aquariums, research facilities, fountains, and public water features. Follow the simple installation instructions and the Plug & Play is up and running. 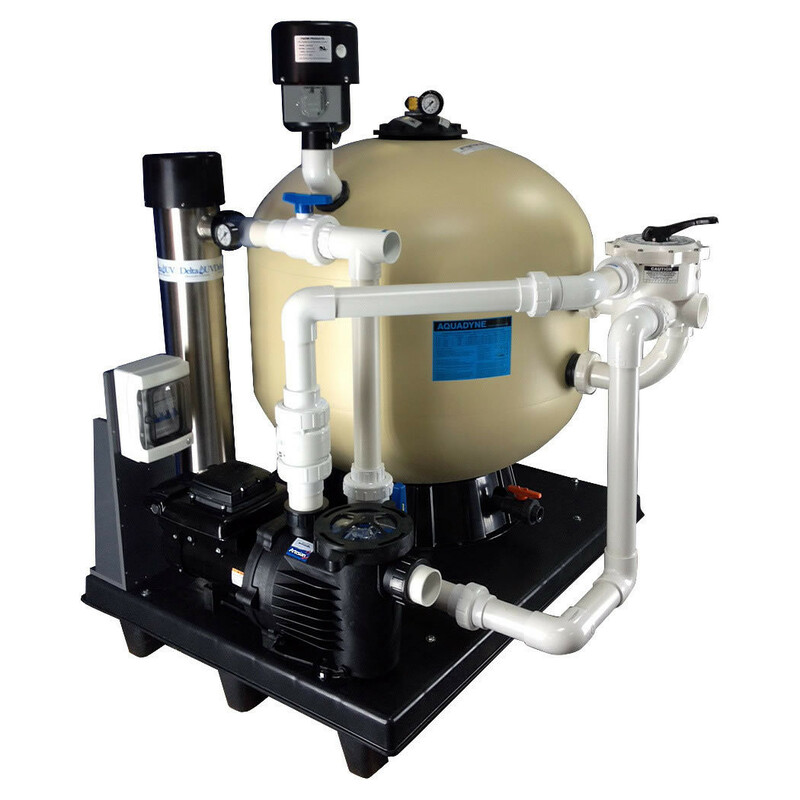 * Aquadyne Biological / Mechanical Filter Unit.